Tuberculosis, TB, is an infectious disease caused by the bacterial organism called Mycobacterium tuberculosis. It is one of the commonest infectious diseases in developing parts of the world like Nigeria. A cough that has lasted for about three months, in which you cough out sputum that, depending on how long you have been infected, contains blood. You have been sweating terribly at night since the cough started, that even your bedspread becomes soaked as if water was poured on it. You have been having a fever that is not really high and which comes and goes. Before you had this cough that has lasted for about 3 months, you came in contact with somebody who was coughing seriously. Or you were in a prison for some time or lived in a homeless shelter like internally displaced persons camp. In addition, if you traveled to and returned from an area or region where there’s TB outbreak/endemic. If you have been treated for tuberculosis in the past, it is likely it is reoccurring due to reactivation of some of the latent bacteria that couldn’t be eradicated by the anti-TB drugs. Also, if you’re HIV-positive, there’s a chance that you might have TB because HIV makes the body vulnerable to other infections. Mantoux test which involves the injection of a substance called purified protein derivative into the skin of your arm for a specific reaction to occur which confirms exposure to TB. Chest X-ray to examine your lungs as they are usually the first place the tuberculosis bacteria enter and attack. 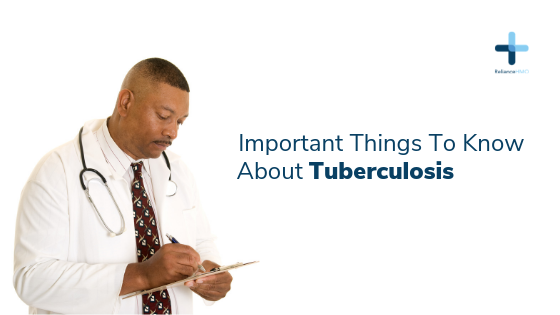 Treatment of tuberculosis depends on the extent to which it has spread from the lungs to other parts of the body (TB can affect any system and organ in the human body such as the brain, testes, ovaries, backbone, eyes, heart and so on ). Most cases of tuberculosis are usually confined to the lungs, and the treatment involves taking 4 anti-TB drugs for a period of 6 months. You will be instructed by your doctor to take the 4 drugs for the first 2 months after which only 2 drugs are continued for the remaining 4 months. This is the case when the TB is not drug-resistant. For people with both TB and HIV, treatment of tuberculosis is started first for 2 months before HIV treatment is initiated to prevent a situation in which the improving immune system due to starting HIV treatment first attacks the TB microorganisms, making the person sicker. Taking anti-TB drugs can be very challenging, because of the long period one has to be on them. But it is important to comply strictly with the drugs and take them religiously to completion in order to prevent the development of drug-resistant TB in the person. Also, quickly report any side effects from these drugs you experience like hepatitis, joint pain, eye problems and orange discoloration of your urine and tears to your doctor.